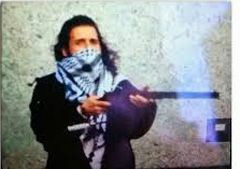 Update: Susan Bibeau and Bulgasem Zehaf have made a statement expressing their devastation at their son's actions and their sorrow for the victim, his family and people of Canada. His mother says she grieves for the people, not her son. She spoke with him last week, for the first time in five years. Susan Bibeau said she was devastated for the victims of the attack. "If I'm crying it's for the people," she said, struggling to hold back tears. "Not for my son." ...."I am mad at my son, I don't understand and part of me wants to hate him at this time." She said he seemed lost and "and did not fit in." "I his mother spoke with him last week over lunch, I had not seen him for over five years before that...."So I have very little insight to offer."